Yes, the one making a face is my son too. My son might not hear that as a compliment, but I’ll take any compliment I can get. I don’t see it. He’s better looking than me. (But so was the family beagle.) But it’s to be expected that we look something alike. After all, we share the same genetics. That’s not the case when you’re adopted. Sure, there was a time when adoption agencies tried to make physical matches of children with adopting parents, but not so any more. Take my friend, Jeff. He and his wife have adopted four boys, all from Taiwan. Jeff says, “We are called a conspicuous family.” It’s obvious the boys are adopted. But that’s where the dissimilarity ends. These four boys have picked up the habits and mannerisms of Jeff and his wife. They may not look alike, but they act and talk alike! Despite the fact we look and act nothing like God our Father, He adopts us into His family through Christ. To say we act nothing like God is a gross understatement. We’ve sinned, rebelled, and run from Him. But through Jesus, He sets us free and adopts us. “See what great love the Father has lavished on us, that we should be called children of God! And that is what we are! The reason the world does not know us is that it did not know him. Dear friends, now we are children of God, and what we will be has not yet been made known. But we know that when Christ appears, we shall be like him, for we shall see him as he is” (1 John 3:1-2). Becoming like Christ is not something I simply wait for. Filled and empowered by His very Spirit, I begin that movement toward Christlikeness now. For those God foreknew he also predestined to be conformed to the image of his Son (Rom 8:29). Being confident of this, that he who began a good work in you will carry it on to completion until the day of Christ Jesus (Phil. 1:6). Follow my example, as I follow the example of Christ (1 Cor. 11:1). 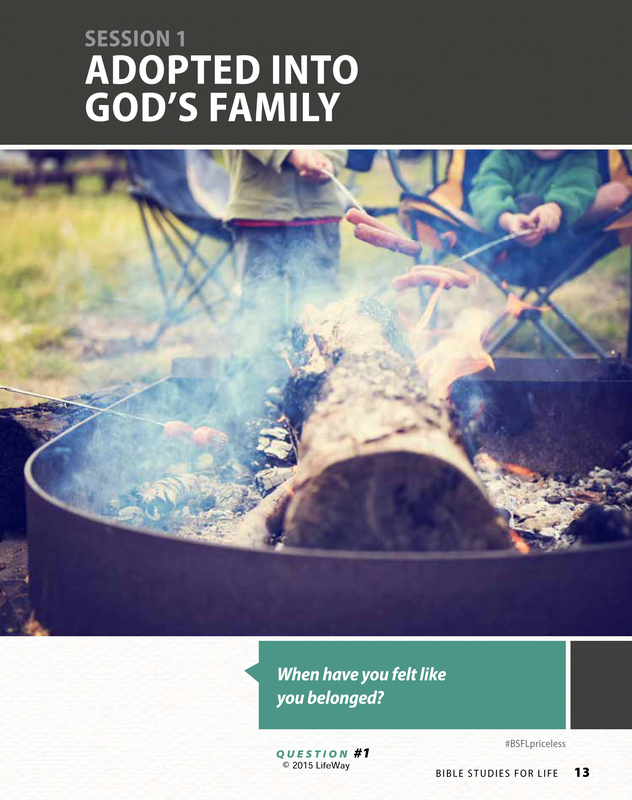 This post supports the study “Adopted Into God’s Family” in Bible Studies for Life.